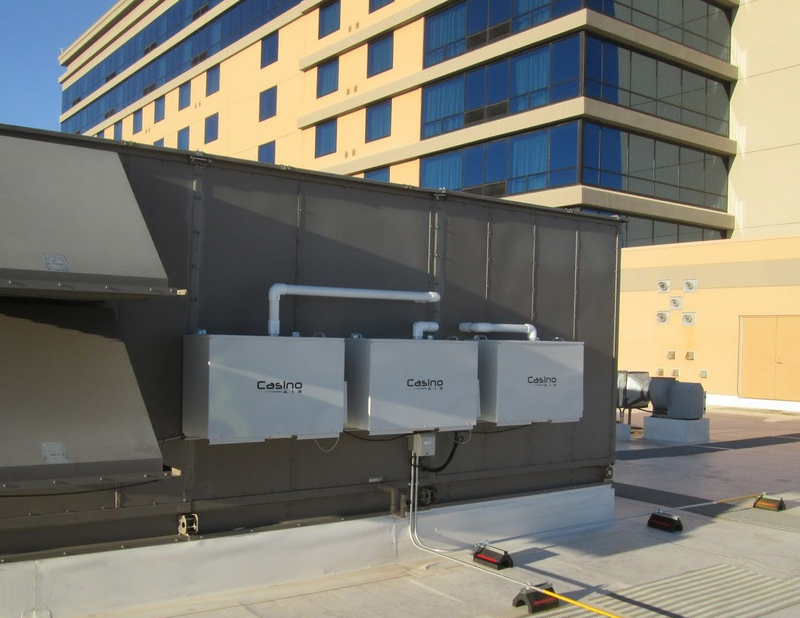 There is no magic box when it comes to good indoor air quality in casino gaming environments. Eliminating tobacco smoke and odor has always been a challenge. Many of you have spent a sizable amount of money on HVAC design that was supposed to work but never did. To complicate matters, you spent more money on aftermarket products that were supposed to work but never did. You still have a problem. Your casino floor stinks. The smoke and odor is making its way into non-smoking restaurants and hotel lobbies. Tobacco smoke and odor is your number one source of customer dissatisfaction. In new construction and remodels we assist owners by working directly with their architects and mechanical engineers on the mechanical design of the casino floor HVAC. 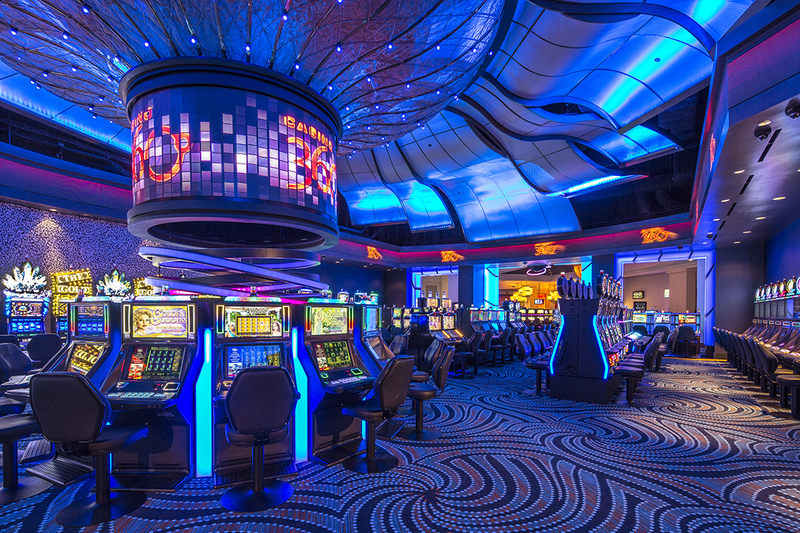 Our expertise guarantees a casino floor free of smoke and odor. Our design operates on half the energy of the typical 100% outside air design. Read more about it here. The underfloor supply design has a significant amount of downsides and the cost to build the floor is nearly double that of properly designed conventional HVAC. Many current users of the underfloor design are currently pumping perfumed chemicals out of the floor ducts in an effort to mask the tobacco gases and odors that do not ventilate properly with underfloor supply. If this fits your description we have the solution, complete with a six month ROI. Retrofits keep us extremely busy. Unfortunately for the casino owners, virtually all of the casino floor HVAC design in the last 25 years has never been effective on tobacco smoke and odor. As the properties age, the problem gets worse. The first thing we do is have your Facilities Director fill out our HVAC survey. Chances are we have seen your design many times over and already have the solution engineered. Once we get your survey, we take a hard look at what’s going on mechanically with the casino floor HVAC. We will have questions and press forward to get them answered until we are certain we have the correct information to engineer a solution. Our next step is to prepare and deliver an online presentation detailing the extent of your problems, the recommended solution, and a turnkey price proposal to complete the work. The presentation can be viewed by anyone with an internet connection from any location in the world. If you decide to move forward we send a project manager to the property to meet with Facilities and confirm the configuration of the installation and any modifications that may be part of our engineered solution. Our fix is instant. There is no guesswork in what we do. Within hours of start-up the tobacco smoke and odor will disappear. Customer complaints will drop by 90% or more. Your employees who work the casino floor will thank you for the major improvement in air quality. Your customers will stay longer and come back more often. Clean Air is Good Business.